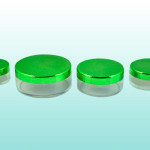 With so many options for cosmetic containers available to manufacturers today, it can be difficult to determine which type is best for each product. There are safety concerns to address with various materials, as well as costs to consider and consumer opinions to factor in. 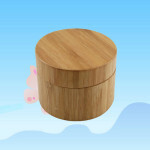 While plastic seems to be the leading material, there are certainly places for other materials to be chosen. 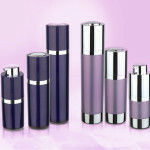 Aluminum cosmetic containers should also be considered as an option for many products. 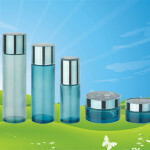 There are constantly studies being done to determine the presence of different elements in cosmetic products. Aluminum has been one of those elements. 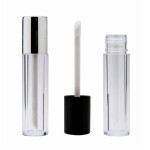 There was some concern about the material leeching into cosmetic products and making them dangerous for use. However, choosing the right containers and following safety guidelines makes aluminum an acceptable material for cosmetic packaging. If aluminum is chosen for a product, there should be information available to the consumer about the safety guidelines and precedes that were used to manufacture the container. 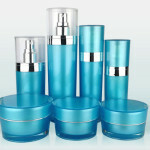 Some cosmetic companies are noticing the benefits of using aluminum cosmetic containers over plastic for their products. First, aluminum allows for the packing of a product to be much more lightweight. Many consumers prefer this lightweight design over heavy glass and plastic bottles. Aluminum also allows for a more modern design that plastic. There is a good deal of customization that can be done to the packaging, but the metal itself also creates a contemporary look. It is also worth mentioning that aluminum packaging could increase the life of a product. The lining needed to make aluminum a safe and effective option for products also protect the product from outside elements which allows it to last longer inside of the container. 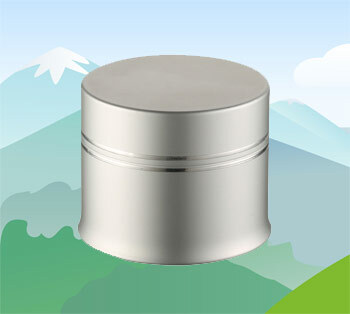 One of the best benefits of using aluminum cosmetic containers is that the material is recyclable. For companies that are interested in taking steps toward going green, this is one way to get started. Environmentally mindful consumers will be happy to see less plastic on the shelves. Choosing aluminum can be a great way to market a product as being better for the environment. 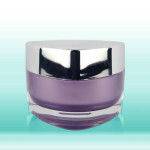 Choosing aluminum gives the cosmetic company the option of eliminating a step in the design process. Aluminum containers allow for in-line printing. This means that logos, designs, and information can be printed directly onto the bottle and additional labels will be unnecessary. This will save a step in the process and will create less waste. Again, companies can use this as a way to market their product as being more environmentally friendly. It can also improve the look of the product. A final benefit to choosing aluminum is that the material is easy to work with. Many manufactures prefer using aluminum because it can be manipulated easily to create a variety of looks. Colors can be changed, a variety of container shapes can be created, and the containers will remain durable due to the nature of aluminum. All of this can be done while maintaining the higher end look of using metal as the package material.